I have not had time to work on a ton of quilts, but I am carving out time to work on one for my co-workers daughter, Sarah. She is graduating from high school this year. 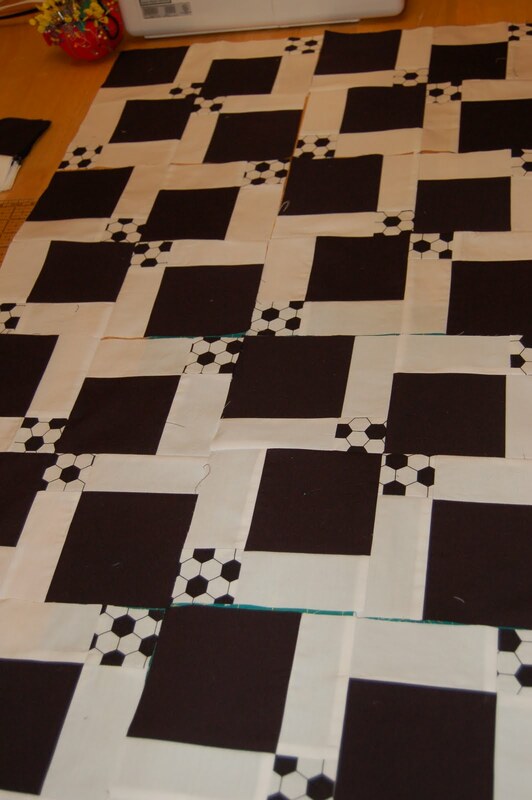 I am making a quilt with soccer fabric and her soccer jerseys. It's been a fun diversion now that Philip is gone. It's a reward to get the house cleaned quickly at night so that I can quilt! I like the soccer fabric background - very nice!